Global food safety regulation is becoming increasingly complex. For the packaging industry, this means that the assurance of their food safety measures meeting the necessary requirements will continue to be a key challenge in 2019. As a market leader for high-impact adhesive solutions for the packaging industry, Henkel is committed to sharing its knowledge of the broad and complex field of food safe packaging with its industry partners. At the COMPAMED fair in Düsseldorf (November 12-15, 2018), Henkel will present its comprehensive portfolio of adhesive materials for applications in healthcare. Building on its existing efforts and progress in sustainable packaging, Henkel is stepping up its commitment to further promote a circular economy: The company has set itself additional targets embedded in an expanded strategic framework. UPM Raflatac has announced Henkel as the winner of the RafCycle® Award at Labelexpo Europe 2017 in Brussels. The RafCycle Award is presented in recognition of excellence in recycling and environmental performance. Henkel is introducing a new inline, contactless and non-destructive coating weight measurement system in flexible laminate production: Lioscan. This year’s Labelexpo, taking place from September 25thto 28thin Brussels, is celebrating competitiveness with its motto: “Gain an unfair advantage”. 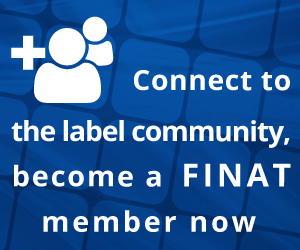 This – admittedly provocative – guiding theme of the world’s most important labeling fair stresses the importance of innovation, leading edge production processes and superior materials for succeeding in today’s competitive labeling market. Enabling its customers to take innovative approaches and become more efficient and sustainable – this is at the heart of Henkel’s packaging and labeling adhesives business.